Used in cnc grinding machines for high performance in words of accuracy. Customers mostly preferred to purchase quality products, so we are involved in offering a wide array of CNC Steady Rests. The offered CNC Steady Rests are extensively used in various suitable applications such as in CNC turning centers by its compatibility of programming &interfacing with the CNC system. FAR make used Steady rest for CNC Turning Cneter machine. Model No. : FRUB-3, Range: 12 to 152 mm, Pressure 8 to 60 bar. Introducing The Newest Innovation of Camera Stabilizers from IVORY for DSLR Cameras and DV/HDV Video Cameras. Whether you shoot with a video camera or a DSLR with HD video capability, IVORY has something to smooth the transitions, pans, motion, action or tracking that fits your budget. 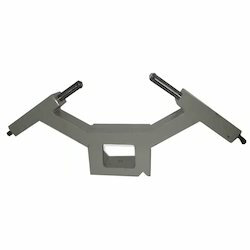 We are the leading manufacturers of Steady Rests. Being one of the renowned firms in the industry, we are decidedly involved in providing a high-quality array of Three Point Lathe Steady. Tuskar Manufacturing Solutions (p) Ltd.
Our clients can avail from an extensive range of Steady Rest Grinding in various specifications as per their requirements. These are designed to cater to steady rests for cylindrical grinding machines and deliver greater accuracy for tolerance limit. We take pleasure to introduce ourselves as one of the renowned firms for providing the best-in-class range of Steady Rest.